Answer: In investigating whether it is God’s work, we should not judge according to whether the majority of religious leaders accept it. Think back to when the Lord Jesus appeared to do His work. Who were the ones that crucified the Lord Jesus? Wasn’t it the religious leaders who were familiar with the Bible and often interpreted the Bible to others? What does this fact tell us? A person who is familiar with the Bible and can interpret the Bible isn’t necessarily someone who knows God’s work, and moreover not someone who can certainly be said to know God. The Jewish chief priests, scribes, and Pharisees were all familiar with the Bible, and yet they were the ones who resisted and condemned the Lord Jesus. They were all antichrists. Is this not a fact? If a person familiar with the Bible can’t even see through this fact, does that count as understanding the Bible? If you now still rely on the views of the majority of religious leaders as the basis for determining whether it is God’s appearance and work, then isn’t that totally absurd? If you still insist on relying on the view of the majority of religious leaders on this issue, then aren’t you also denying the appearance and work of the Lord Jesus? Without a doubt, that makes you just like the Pharisees—someone who resists God. When we seek and examine the true way, we should decide according to whether there is the Holy Spirit’s work and whether there is the expression of truth. That’s the accurate criterion. Basing it on the views of the majority of religious leaders is certainly resisting God, and you will be condemned and eliminated by God. Most believers are of the view that pastors are all familiar with the Bible and can often explain and exalt the Bible, which means they should be people who know God. However, when God once again becomes flesh to perform His work in the last days, why do these religious pastors familiar with the Bible furiously condemn and resist God’s work of the last days? This is something that puzzles a lot of people. This is actually not hard to figure out. Back then, the Pharisees were all familiar with the Bible and often expounded on and exalted the Bible in synagogues. But when the Lord Jesus came, they furiously resisted and persecuted Him, and nailed the Lord Jesus to the cross alive. This fact is sufficient to prove that those who often interpret and exalt the Bible aren’t necessarily people who know God. The Pharisees could all interpret the Bible. Then why was it that, when they knew everything expressed by the Lord Jesus was the truth, they could still condemn and resist Him? Since they weren’t able to recognize God’s voice at all, then how could they know God’s disposition and essence? Religious pastors are just like the Pharisees. Though they are familiar with the Bible, all they preach are some Bible knowledge and theological theories, as well as the characters and historical background of the Bible. They are unable to communicate any experience or testimony of practicing the Lord’s word, or any true knowledge of God. This is enough to show that they are not people who experience God’s work and practice God’s word. How could they possibly be people who know God? Their view of God is full of notions and imaginations. 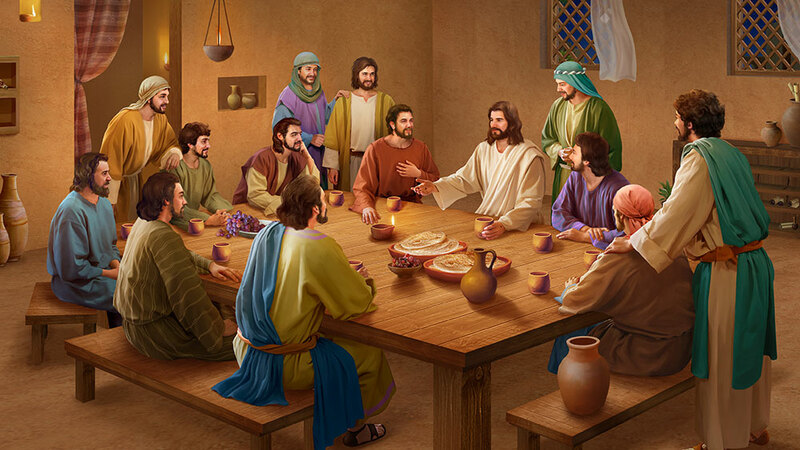 They don’t know God’s disposition and His intention of saving mankind at all, so that when God appears to do His work in the last days, they use the Bible knowledge and doctrines they are equipped with to define God’s word and work, and end up playing the role of the Pharisees, who believed in God yet resisted Him. 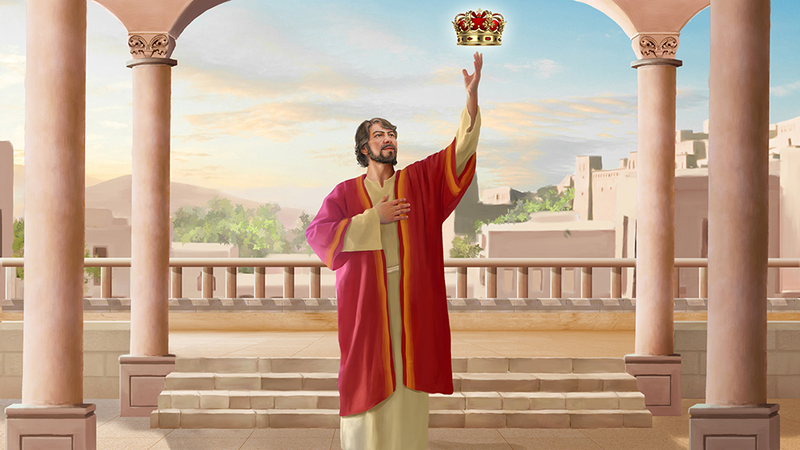 Let’s take a look at a passage of Almighty God’s word: “Man himself cannot come up with a true knowledge of God. It is not something that man himself can imagine, nor is it the consequence of the Holy Spirit’s especial favor of one person. Instead, it is a knowledge that comes after man has experienced the work of God, and is a knowledge of God that only comes after having experienced the facts of God’s work” (“Knowing the Three Stages of God’s Work Is the Path to Knowing God” in The Word Appears in the Flesh). Almighty God makes it very clear. Knowledge of God comes from practically experiencing God’s work and practicing God’s word, and is achieved through receiving the work of the Holy Spirit. It is not achieved through familiarizing oneself with the Bible. For thousands of years, no one has achieved true knowledge of God through reading the Bible. Moreover, there is not one person who has been cleansed and received God’s approval because of being familiar with the Bible. Of all those who received God’s approval throughout history, none achieved knowledge of God through reading the Bible. It was in the process of practicing God’s word and obeying God’s work that they gradually gained true knowledge and fear of God. Take Abraham and Job for example. They were both people who magnified God and revered God in their hearts. It was through their experiences that they got to know the almightiness and wisdom of God who dominates all. They saw that everything man has is due to God’s blessing and grace, generating their true faith in God. That is why they could still extol the holy name of God amid trials to create beautiful and resounding testimonies, and received God’s blessing as a result. Peter recognized that the Lord Jesus is the Christ, the Son of the living God, not through familiarizing himself with the Old Testament, but through pursuing the truth, and practically obeying the word and work of the Lord Jesus, attaining the work of the Holy Spirit, and gradually getting to know God’s loveliness and His disposition and all that He has and is. In the end, he managed to achieve an ultimate love for God and obedience unto death, creating a beautiful and resounding testimony for God. In addition, during the time the Lord Jesus worked, those who followed Him all perceived in His utterance the authority and power of His word. They recognized that it was the voice of God and decided to follow the Lord Jesus. They also created beautiful and resounding testimonies in spreading the gospel of the Lord Jesus. When God returns to flesh and appears to work in the last days, there are a lot of people who never believed in the Lord Jesus and never read the Bible but who have attained the work of the Holy Spirit through accepting and obeying the judgment of Almighty God’s word. 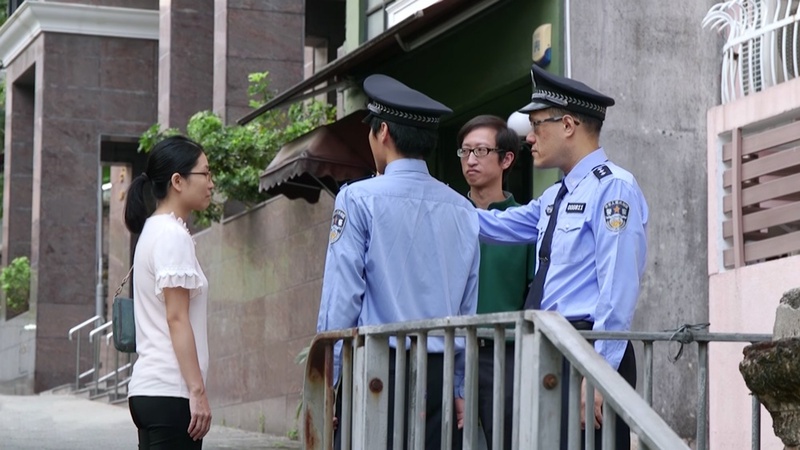 They have gradually developed true knowledge of and obedience toward God, and created overcoming testimonies amid the cruel persecution of the regime of the CCP. This is a fact for all to see. Only those who have experienced God’s work and ultimately created beautiful and resounding testimonies for God can be said to be people who truly know God and obey God. Those who only interpret the Bible but have not truly borne witness are to be regarded as religious charlatans. Those religious Pharisees and pastors despise and hate the truth. They familiarize themselves with the Bible and explain the Bible not because they pursue the truth and knowledge of God. Rather, it is completely for showing off, and deceiving and caging people. When God becomes flesh and appears to do His work, they even view the truth-expressing Christ as the enemy, essentially crucifying God again, and therefore becoming cursed by God, which completely exposes their truth-hating, God-opposing antichrist essence. 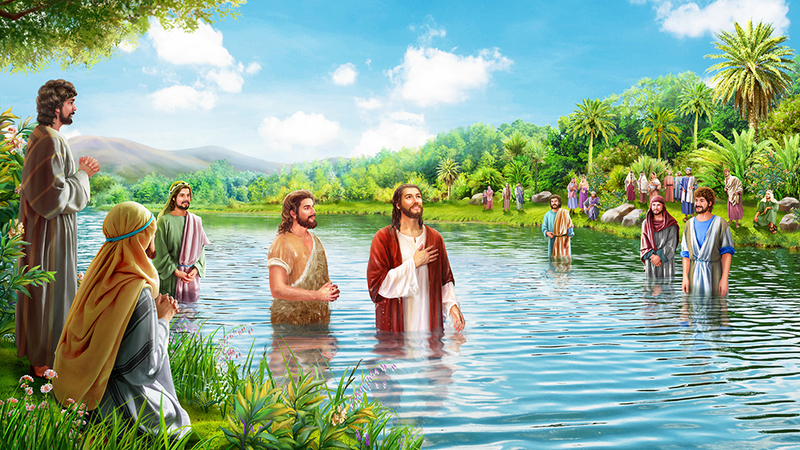 The work of God incarnate in the last days has revealed all mankind, classifying people according to their kind. God’s work really is almighty and wise! If people who believe in God don’t love the truth and don’t pay attention to practicing God’s word, then they are not truly experiencing God’s work. If people only care about equipping themselves with Bible knowledge and theological theories to show off, to build up their own prestige so people can worship and follow them, then they will naturally become hypocritical Pharisees. Almighty God says: “Those who only care about the words of the Bible, who are unconcerned about the truth or seeking My footsteps—they are against Me, for they limit Me according to the Bible, and constrain Me within the Bible, and so are blasphemous in the extreme toward Me. How could such people come before Me? They pay no heed to My deeds, or My will, or the truth, but instead obsess over words, words that kill. How could such people be compatible with Me?” (“You Should Seek the Way of Compatibility With Christ “ in The Word Appears in the Flesh). “Those who read the Bible in grand churches recite the Bible every day, yet not one understands the purpose of God’s work. Not one is able to know God; moreover, not one is in accord with the heart of God. They are all worthless, vile men, each standing on high to teach God. Though they brandish the name of God, they willfully oppose Him. Though they label themselves believers of God, they are ones who eat the flesh and drink the blood of man. All such men are devils who devour the soul of man, head demons who purposefully disturb those who try to step onto the right path, and stumbling blocks that impede the path of those who seek God. Though they are of ‘robust flesh,’ how are their followers to know that they are antichrists who lead man in opposition to God? How are they to know that they are living devils who specially seek souls to devour? Those who honor themselves before God are the most lowly of men, while those who humble themselves are the most honorable. And those who think themselves to know the work of God and proclaim the work of God to others with great fanfare while their eyes are upon Him— these are the most ignorant of men. Such men are those without the testimony of God, and those who are arrogant and conceited” (“All Who Do Not Know God Are Those Who Oppose God” in The Word Appears in the Flesh). Almighty God’s words have completely exposed the truth-hating and truth-despising nature and essence of the religious Pharisees, pastors and leaders. They familiarize themselves with the Bible and explain the Bible all so they can stand out and show off, so they can use it to deceive and cage people and protect their own status and livelihoods. It is not at all to communicate the truth and exalt God, to testify to God, and to bring people before Him. They pretend to be godly on the outside, but in reality they don’t have any reverence for God in their hearts whatsoever. When Almighty God expresses the truth and performs His judgment work of the last days, to protect their own status and livelihoods, they do everything they can to make up rumors and release fallacies to delimit God and condemn God’s work of the last days, saying things like “God’s word and work are all in the Bible, anything beyond the Bible is heresy,” and “Believing in God is believing in the Bible, the Bible represents God,” and so forth, and spreading all sorts of fallacies to deceive and prevent people from seeking and investigating the true way. So it turns out that pastors are trying to protect their own status and livelihoods. That’s why they resist and condemn Almighty God! It shows that when religious pastors use their opportunities of explaining the Bible to interpret the Bible falsely and out of context, to delimit God and oppose God, it is completely due to their truth-hating and God-resisting satanic nature. Throughout history, the religious world has been ruled by hypocritical Pharisees and antichrists. They worship the Bible and exalt the Bible all so they can deceive and control God’s chosen people and consolidate their own status and livelihoods. It is not at all for exalting God and testifying to God, or to guide people into the reality of truth and bring them before God. Therefore, when Almighty God comes to perform His work of the last days, the truth-hating, God-resisting antichrist nature of religious pastors and leaders is thoroughly exposed. Under the guise of “defending the true way and protecting the flock,” they specialize in opposing Almighty God, Christ of the last days, turning the religious community into a staunch bastion of opposition against God. Do you still fail to see this fact clearly? from the movie script of Break the Shackles and Run! Previous：Question 3: Paul clearly said in the Bible: “Take heed therefore to yourselves, and to all the flock, over the which the Holy Ghost has made you overseers, to feed the church of God …” (Act 20:28). This proves that pastors and elders are all anointed by the Holy Spirit. Doesn’t being anointed by the Holy Spirit represent being anointed by God? God anointed pastors and elders as overseers to all the flock. That can’t be wrong! Next：Question 5: Upon learning that we had accepted Almighty God, the pastor and elder have been ceaselessly bothering us, explaining the Bible to us nonstop. Though we refute them, and reject them, they do not let up. This is severe harassment of citizens. In the past, when we were weak or negative, they were never so diligent. Now, as soon as we accept Almighty God, however, they have become very angry, using both carrot and stick, endlessly annoying us. It seems that this evil of theirs won’t let up until they have dragged us into hell with them! I just don’t understand it. The pastor and elder, as persons who serve the Lord, and who often talk of the Bible, they should be able to see that all words expressed by Almighty God are truth. Why do they not seek truth? Why don’t they investigate the last-days work of Almighty God, instead of wildly condemning, resisting, and blaspheming Almighty God? The pastor and elder expend such effort to obstruct our acceptance of Almighty God. We really do need to understand. Please fellowship this a bit with us.